On Sunday December 19th, along with many other blessings in a full worship service, we had a surprise visitor. One of the participants from the October wounded warrior fly fishing outing paid us a visit. 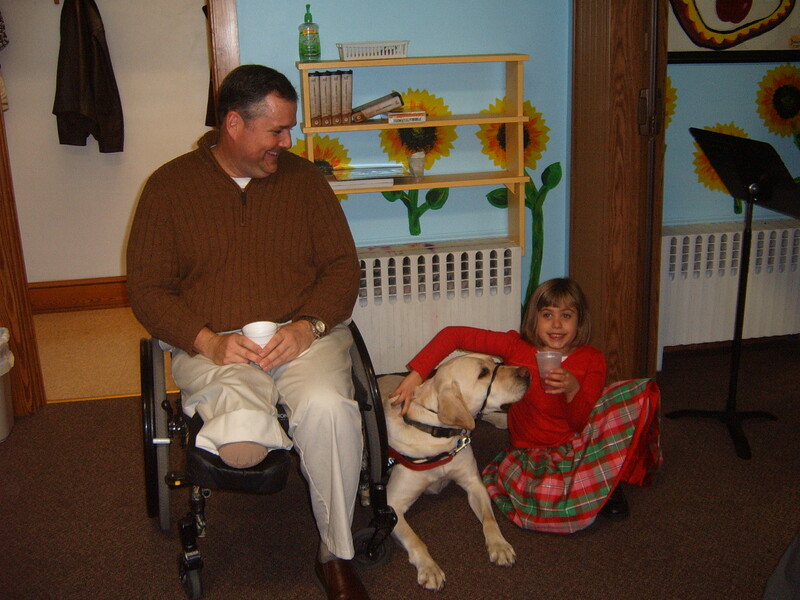 Doug came with his helping dog, Scooter. Doug brought with him a wonderful shadow box that he created for the church, as a thank you for the day’s outing. 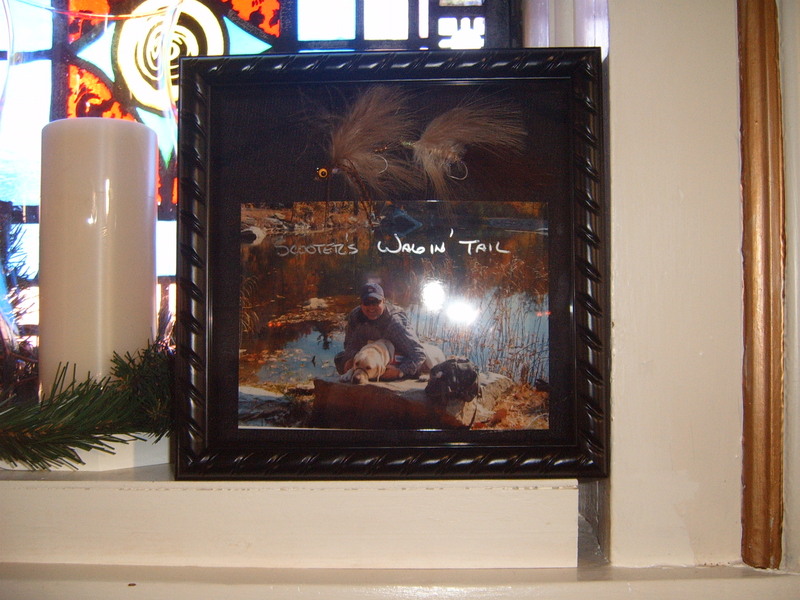 In the shadow box was a picture of Doug and Scooter at the fishing lodge, with a hand-tied fly. Fly tying and casting has been an important part of his rehabilitation and he wanted to share that with us. It was a special time and it made us all realize how important our veteran’s ministry has become to this church. In the new year our veteran’s task force will be meeting to plan more events and ways to serve those who have served us.